At Triangle, we have a system to wake brothers up who have early classes. This promotes class attendance and is a great way to ensure you are awake when you want to be. To track when brother wants to be woken up, we set a “rack tag”, which used to be put onto an old board with some nails in it. 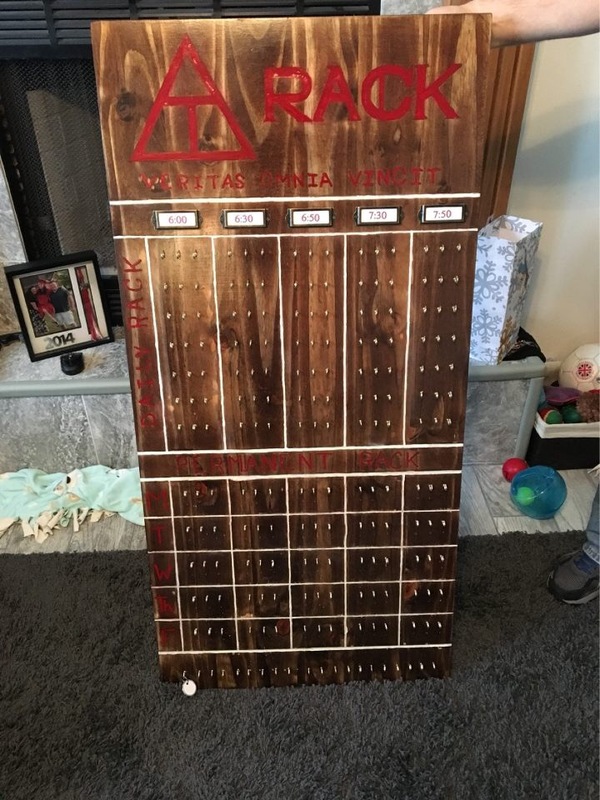 Now, thanks to Aaron Campbell, we have a brand new rack board, complete with hooks and tags instead of nails, clear text, and some great decorations. Thanks Aaron!